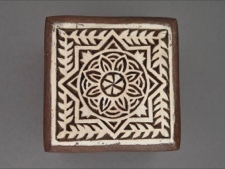 Traditionally designed and handcarved lotus motif decorates this beautifully made Rosewood box. 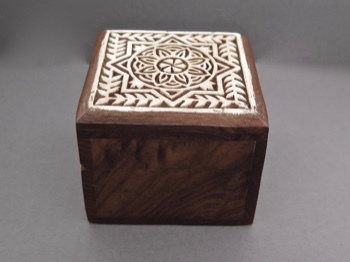 Skillfully created with hand tools from blocks of sustainably harvested wood. 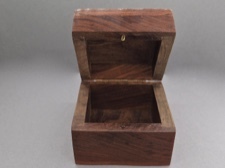 Box measures 3 x 3 x 2.5 inches. 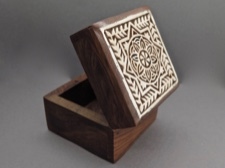 This special box is Fair Trade, which promotes artists in a safe working environment that supports them with fair wages, commerce opportunities, and total personal well-being. Important within this goal is only using natural, recycled, renewable, non-toxic materials for their creations. Empower. Respect.